As the year comes to a close, it's a good time to look back and reflect on all that has been accomplished at AmpliVox and recount the milestones of 2018 as we move forward into the New Year. AmpliVox Recognized by Religious Product News "Hot Products"
Their "Hot Products and Services" issue reflects the "best of the best", and the AmpliVox S1697 2.4 GHz Universal Digital Wireless Microphone Headset made the list for its lightweight design and works with all devices that have a microphone or auxiliary input. There's simply no better place than the Future of Education Technology Conference to get up-close and hands-on with today's most innovative technologies and applications. FETC’s Expo Hall hosted more than 400 leading manufacturers — each featuring the latest technologies and newest products on the market. AmpliVox Sound Systems now offers attractive rack cabinets that combine classic, elegant styling with convenience, mobility, and security. AmpliVox’s new rack cabinets are designed and engineered with safety, security, and elegance in mind. Pro Sound News magazine is a leading provider of news in the professional sound production industry, covering the latest innovative technologies and trends in the field. When Pro Sound News writer Strother Bullins recently reviewed our new SW925 Digital Audio Travel Partner Plus portable PA system, we couldn’t help but take notice. In his review, Bullins applauds the SW925 as a versatile portable PA system that provides strong voice and sound amplification wherever it’s used. The North Suburban YMCA 12th annual Ken and Alta Thiel Strong Kids Fundraising Dinner raised $225,000, providing important funding that allows the Y to continue to offer impactful programs and services to all, regardless of financial need. More than one out of five individuals at the Y – over 2,800 people – receive financial assistance through the Strong Kids Fund for afterschool programs, summer camps, swim lessons, and other wellness activities for all ages. New product series gives you outstanding audio range, up to a half mile away, sound clarity and the ability to reach very large audiences by adding a wireless companion speaker expanding sound coverage up to one mile. The Hartsfield-Jackson Airport hosted an event that honored the legacy of Dr. Martin Luther King, Jr., centered around the theme, "MLK50 Forward". With the help of an AmpliVox 3250 Multimedia Podium, the audience was inspired as an orator recited the words of Dr. King’s last speech "MoutainTop". We at AmpliVox are honored to support the Illinois Holocaust Museum and its education mission. We recently provided an AmpliVox Acrylic Lectern that will be a centerpiece for presentations at Museum events, and we are proud sponsors of the upcoming Third Annual Race for Humanity 5K to benefit the Museum. Tech & Learning Live is a high-powered, one-day event that provides K-12 decision makers with thought-provoking content on the hottest topics of the day in education technology. School Administrators, Police and Fire Departments, Transportation Directors, and Emergency Managers attended the event to heighten their safety awareness in the field of school safety and crisis prevention. Guest speakers covered topics ranging from school and campus shootings/attacks, effective school security, school safety planning and tools utilized for school safety. Beyond just a great day of golf, the Northbrook Chamber of Commerce annual Golf Outing and Dinner is an outstanding way to thank clients and colleagues, to solidify business relationships and to make new connections. The Outing is an all-inclusive, non-stop afternoon of fun that includes a chance to play 18 holes of golf, with friendly competition for prizes, and lots of excitement throughout the day on the course. 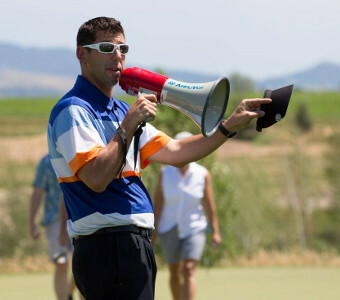 The B9254 Platinum Digital Audio Travel Partner Plus Package was on hand providing the PA system for pre-tournament announcements for the over 180 golfers participating. The 21st Annual Run/Walk to Break the Silence on Ovarian Cancer was sponsored by the Illinois chapter of the National Ovarian Cancer Coalition (NOCC), which works to promote awareness of ovarian cancer. Maintaining crowd control in noisy environments is no easy task, but the Mity-Meg provided the sound needed to communicate event details and provide instructions to attendees. Please Welcome New AmpliVox Booster, Isabelle, Born June 28, 2018. Isabelle, proudly held by her sister, Julianna, has joined the AmpliVox team! Here’s hoping she follows in the footsteps of her mother Carolyn, an exemplary scholar, athlete, businesswoman, mom, daughter, and a love of my life. Every year in June, the North Suburban YMCA in Northbrook, Illinois undergoes a radical transformation. In addition to the usual schedule of fitness, swimming, dance, and art programs that fill the community center all year, summer brings an additional 300-400 children to the Y campus each week for 10 weeks of day camp. 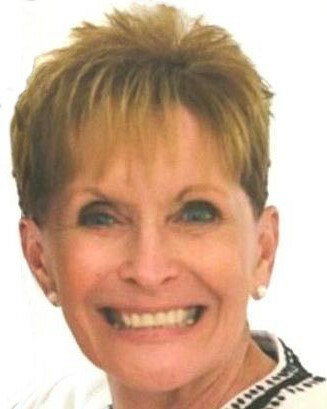 Toastmasters International is a world leader in communication and leadership development. 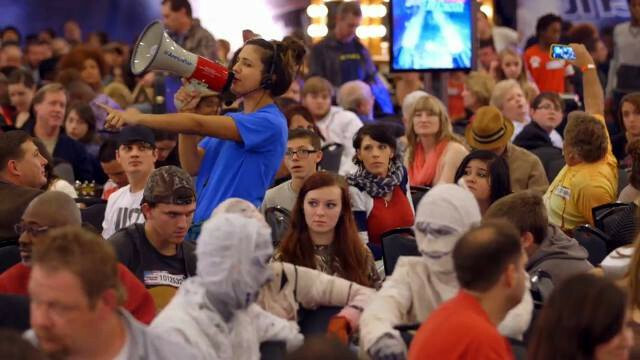 With more than 357,000 members improving their speaking and leadership skills by attending one of the 16,600 clubs in 143 countries that make up their global network of meeting locations. U.S. Senator Bob Menendez joined by firefighters from across New Jersey to celebrate passage of the Firefighter Cancer Registry Act, during the news conference at Englewood Fire Dept. HQ in Englewood. The news conference was held with speakers standing behind a custom made Pinnacle Multimedia Lectern built specifically for the Englewood Fire Department personalized with their logo. AmpliVox Sound Systems has launched a next-generation version of its SW245B Dual Audio Pal, a Bluetooth-equipped compact sound system for audiences up to 300 people. The ultra-portable 50W Dual Audio Pal delivers crisp, clear sound from up to two microphones at once, and also streams music and other audio for all types of indoor and outdoor events. Loaded with a media player that gives you the ability to play recorded audio from a SD card or a USB thumb drive and includes FM radio with remote control. The Bay Area of California has long been known for its rowing history, in addition to the popularity of the sport in the city’s vicinity. Produce 2 Broadcast, the sound contractor that worked on the audio and video production for the 2018 USRowing Masters National Championships relied on AmpliVox Half-Mile Hailers to make announcements and broadcast the event. When you are speaking to groups of up to 100 people don’t strain your voice or risk not being clearly heard, use AmpliVox Digital BeltBlaster to give you the power and clarity of 2.4 GHz digital sound and freedom to move while you’re talking. Wear BeltBlaster like a belt and enjoy the hands free convenience of the headset mic. AmpliVox ADA lecterns are specifically designed to meet ADA requirements concerning proper knee space clearance, wheelchair height accessibility, and equal access to controls. The AmpliVox SN3900 ADA Sit To Stand Lectern offers a stylish yet functional approach to ADA compliance that easily accommodates the mobility-impaired as well as the standing presenter. 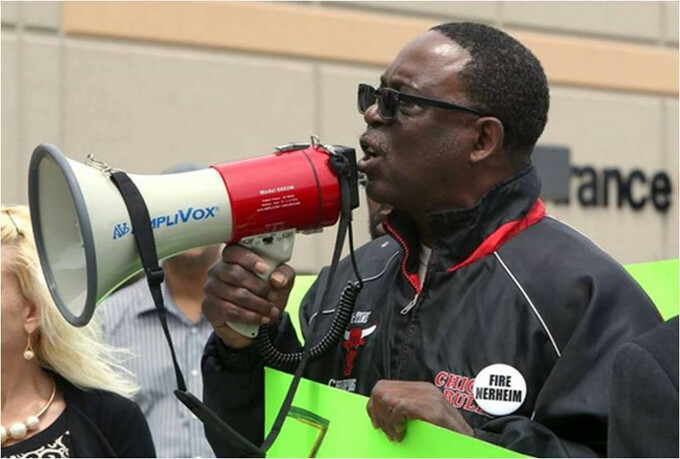 AmpliVox Sound Systems recently came to the aid of firefighters battling disastrous fires in California, providing a free shipment of handheld megaphones for use in their emergency response efforts. The donation is part of AmpliVox’s ongoing Community Contribution program, which supports the missions of public service organizations and charities with targeted donations of sound equipment. AmpliVox will be exhibiting at EDspaces showcasing high performance portable sound systems and elegant lecterns, perfect for classrooms, assemblies, conferences and graduations... inside or outside. Depend on AmpliVox Sound Systems for top-quality sound products and presentation furniture that deliver a seamless experience. 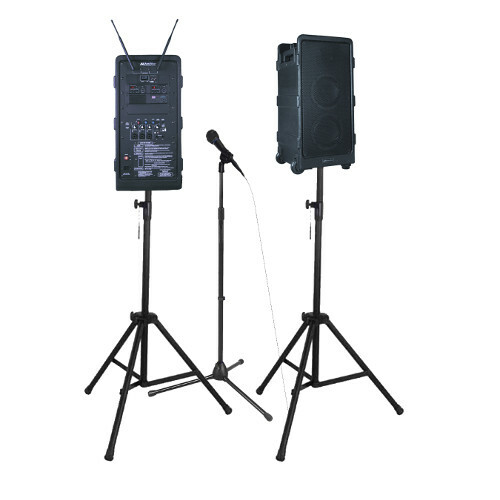 Easy-to-use AmpliVox portable systems set up in minutes to fill venues with crystal clear sound amplification of presentations, music, or other audio. We would like to thank all of our dealers, suppliers, customers and friends for none of this would of been possible without their support. We are looking forward to 2019 as we continue to grow our role in our community and make a difference in the causes we believe in. AmpliVox Sound Systems has been honored as a Silver Award Winner in the Homeland Security Awards sponsored by American Security Today magazine. American Security Today’s comprehensive Homeland Security Awards Program was organized to recognize the most distinguished vendors of Physical, IT, Port Security, Law Enforcement, First Responders, as well as the federal, state, county and municipal government agencies in acknowledgment of their outstanding efforts to keep our nation secure, one city at a time. AmpliVox’s Mega Hailer received the ASTOR Award as the Best Mass Notification System-Hardware. As the nation continues to respond to escalating threats from home and abroad, solutions are being implemented to meet those threats and has led to tremendous growth in the field of Homeland Security. Today, the United States is increasingly focusing on protecting american borders, seaports and critical infrastructures, IT/cyber security networks and airport and transportation hubs. American Security honored the new and established vendors that are providing innovative solutions to address the evolving homeland security threats. From terrorism, lone wolf attacks, civil unrest, disasters, societal shifts and media biases that are impacting front line security professionals. AmpliVox has the widest range of portable sound systems and elegant, versatile presentation furniture to fit any size room or audience. The SW925 Digital Audio Travel Partner Plus is AmpliVox's most complete all-in-one PA system supporting up to four wireless microphones. Stream music from Bluetooth equipped devices, and pair with supplementary speakers to provide customized sound coverage for audiences up to 7500 people or areas up to 15,000 square feet. AmpliVox's new ready-to-assemble SN3075 Traditional Acrylic Lectern combines modern elegance with easy portability and storage. Its unique design requires just 12 screws to take it apart, and its custom-designed case perfectly protects the disassembled sections for travel or storage. To meet the needs of any presenter, including those using wheelchairs, AmpliVox offers the SN3900 ADA Sit-to-Stand Lectern. Specially designed to comply with the Americans with Disabilities Act, it offers a silent electronic lift that raises the lectern from a seated desk height of 31" to a standing height of 41". 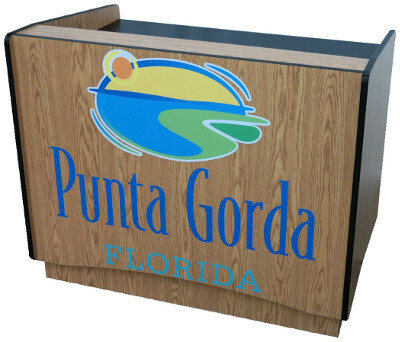 Pinnacle Multimedia Lectern - As seen in the San Antonio, Las Vegas, and Orlando Convention Centers! AmpliVox's 3250 Pinnacle Lectern is a favorite choice for convention centers thanks to its durability, mobility and versatility. Its tough plastic shell stays attractive through years of use and can be customized in virtually any color. Contact AmpliVox with all your center's sound and presentation furniture needs. Our dynamic team of sound professionals are ready to help you find your best solution. AmpliVox is a GSA-approved vendor! 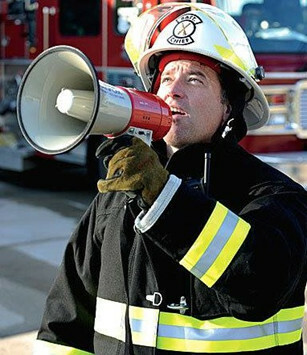 When news broke of the Camp and Woolsey wildfires in California, AmpliVox contacted the California State Firefighters’ Association to offer a shipment of the company’s 602-R Mity-Meg Rechargeable Megaphones. A popular choice for firefighters, police officers, and other first responders across the nation, the Mity-Meg delivers 25 watts of clear sound amplification from a lightweight, handheld unit. These portable sound systems are extremely effective for giving instructions to groups of civilians and communicating among team members, even under extreme conditions. 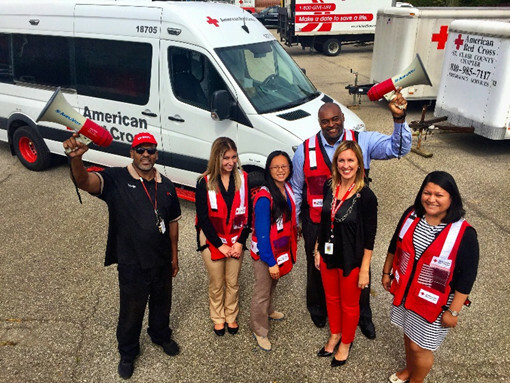 Previous AmpliVox megaphone donations have gone to the American Red Cross, hurricane relief teams in Houston, Texas, and breast cancer fundraising walks through the national Susan G. Komen organization. 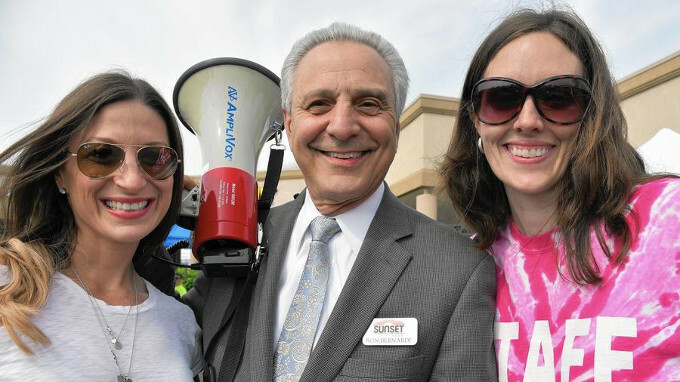 Donations of other equipment, including PA systems and presentation lecterns, have supported Special Olympics Illinois, Law Enforcement United, dozens of breast cancer and prostate cancer fundraising groups, and many other organizations. "Firefighters put their lives on the line every day, and we want to support them wherever they are," notes Don Roth, AmpliVox CEO. "We are honored to stand with the California State Firefighters' Association and hope that our products will help as they continue to deal with emergency situations." Of all the outstanding sound products made by AmpliVox, perhaps the most visible and versatile are our handheld megaphones. 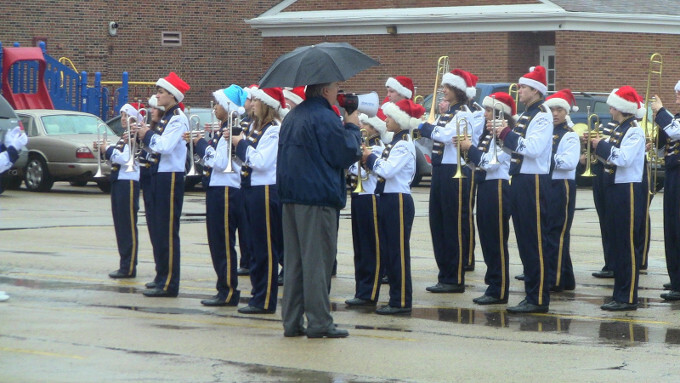 These workhorse portable sound systems can be seen – and heard – in all kinds of settings, giving directions, making announcements, and delivering messages to large groups of listeners. Fire departments and other first responders use our megaphones to make evacuations safer and more efficient. Schools and camps rely on them to get kids where they need to be during assemblies, recess, and safety drills. 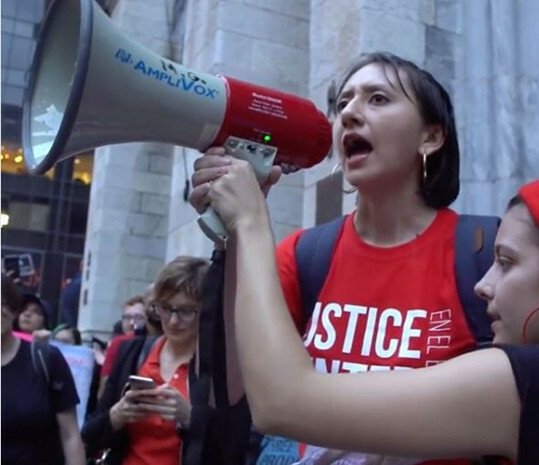 Political and social causes carry megaphones at rallies and marches. 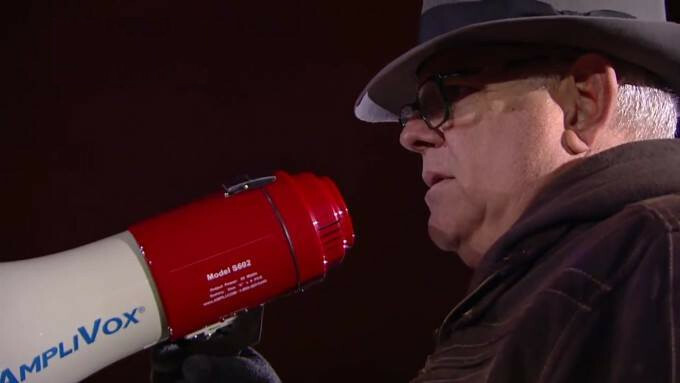 AmpliVox megaphones have even been spotted in use at mass auditions for America’s Got Talent, and on the top of Chicago’s Marina City Towers during a memorable high-wire walk. 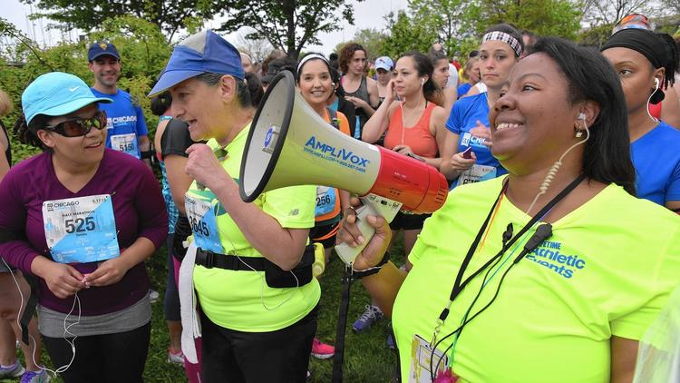 Whether your message is intended to get people organized, pump up their enthusiasm, or move them to safety, AmpliVox grab-and-go megaphones will extend your voice to large groups with ease and efficiency. 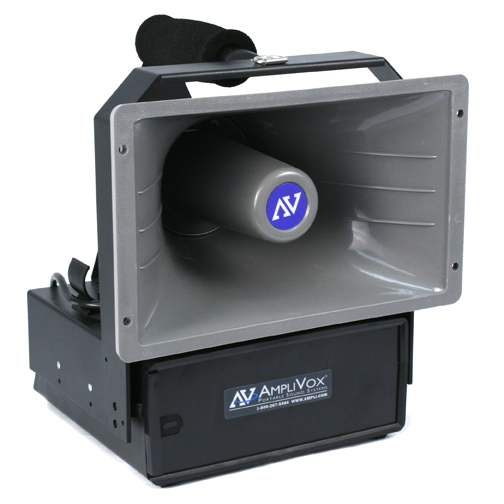 Address and manage crowds and emergency situations, communicating in large open spaces to large or small crowds is easy with an AmpliVox megaphone. 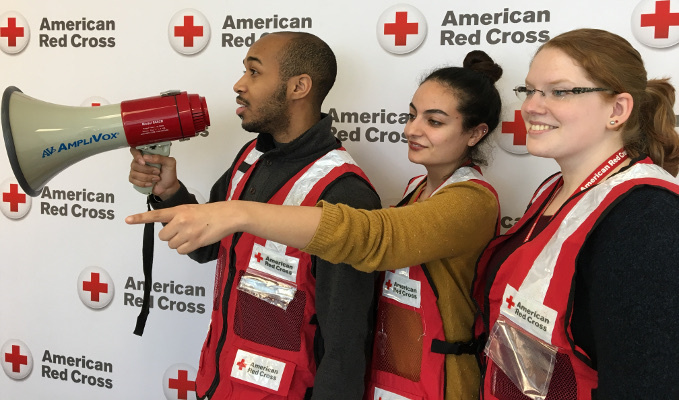 Our lightweight, battery operated megaphones are essential to your public address activities and emergency preparedness kit. Effective Range: 100 yards. For smaller groups of up to 50 people. Easy to carry & to store, convenient travel size. Effective Range: 900 yards. Easy to use battery cartridge, half the weight and twice the battery run time of other megaphones. Effective Range: One Mile / 1760 yards. Light and powerful weighing only 2 lbs. Weather resistant and durable. Effective Range: One Mile / 1760 yards. 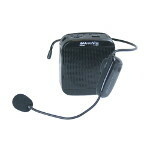 Easy to use with detachable corded mic and shoulder strap for all day use. Effective Range: 100 yards. Emergency flashing strobe & flash light illuminates from bell. Build-in voice record & playback. Download our Megaphone Easy Reference Guide that shows all AmpliVox megaphones listing their features, effective ranges, and available rechargeable batteries.